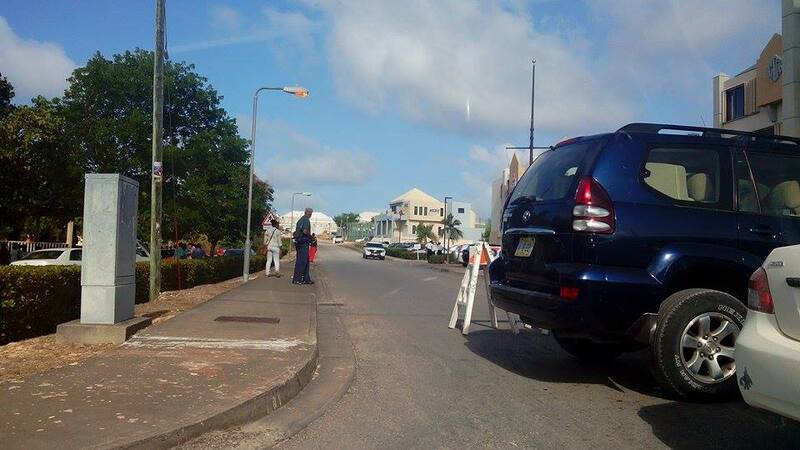 LATEST UPDATE: ANGUILLA SOURCES SAYING POLICE WALKED INTO CBB BANK TOLD CUSTOMERS AND EMPLOYEES TO LEAVE, AS THEY SEIZED THE BANKS EQUIPMENT. THE VALLEY, Anguilla, Jun 26 2015, CNS – Caribbean Commercial Bank (Anguilla) Limited (CCB) was forced to close Friday after a court granted permission for bailiffs to seize its assets to pay more than EC$1 million to the former managing director who was wrongfully dismissed. A source close to the situation told Caribbean News Service (CNS) that today’ s development came at a very bad time when workers, many form the construction sector, were at the bank to cash cheques or collect wages. CCB and the National Bank of Anguilla Limited (NBA) have been under the control of the St Kitts-based Eastern Caribbean Central Bank (ECCB) since August 2013 when it assumed control of two indigenous banks noting the move was designed “to ensure the stability of the banking system” in the entire Eastern Caribbean Currency Union (ECCU). CCB’s managing director, who was sacked, took the bank to court and the court ruled in her favour and ordered that she be compensated. However, when the bank failed to pay, her lawyers sought the court’s intervention and permission was granted for the bank’s assets to be taken. Contacted by CNS moments ago, as Chief Minister and Minister of Finance Victor Banks confirmed that the bank was closed today but insisted it was only temporary. “The assets were returned to the bank…the terms of the payment have been agreed. I personally dealt with the matter myself and now the bank is due to open for normal business on Monday,” Banks said. We were just contacted by eyewitness sources in Anguilla. According to them the CBB Bank, which just lost a lawsuit against one Ms. Sarah Benjamin has just been unceremoniously shut down. People at the bank are claiming that the police had just entered the bank with cameras. Both employees and customers were told to leave. Angry customers are saying Today and Yesterday were pay day, so now they are in big trouble. Don’t panic. 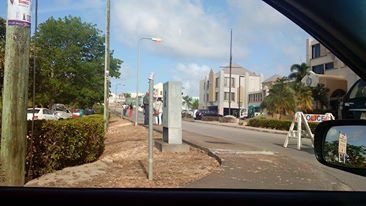 Nothing serious at the Caribbean Commercial Bank (CCB). It’s a court matter outside of the ECCB takeover. The bank will continue it’s normal operations. I won’t go into details at the moment but CCB’s usual operations will resume as normal. Tune in to Www.radioaxa.com or 95.5fm for the facts……..
During the latest Anguilla elections, politicians had been warning that certain Anguilla banks were in trouble. ECCB lost a case against Ms Benjamin, she had been removed illegally and her contract’s benefits were denied. it was done before our former government could pass a motion to protect all ECCB actions. According to our sources in AXA this is very important because many St Maarteners have their money saved at the NBA and CCB banks in AXA . Anguillan insiders are saying that Ms Benjamin has won the case. She sued the bank for wrongful dismissal and won although now the bank has appealed. “…………Sounds like Sarah Benjamin seized the banks equipment……………. ECCB lost a case against Ms Benjamin, she was removed illegally and her contract’s benefits were denied. it was done before our former government could pass a motion to protect all ECCB actions. The honorable reverend John Gumbs andwife Veronica Gumbs. Reblogged this on SXM POLICE.